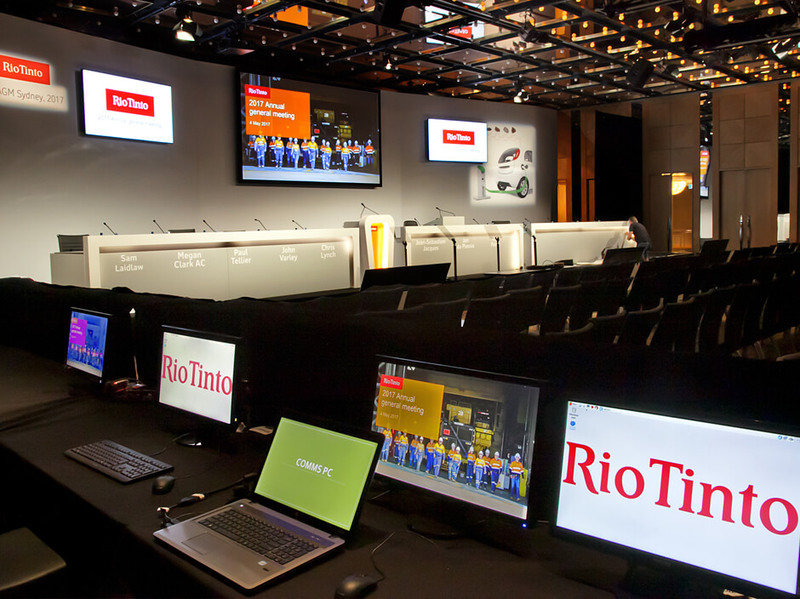 In 2016 Rio Tinto began working with Haycom to deliver a faultless AGM experience for their Executive Board and shareholders. 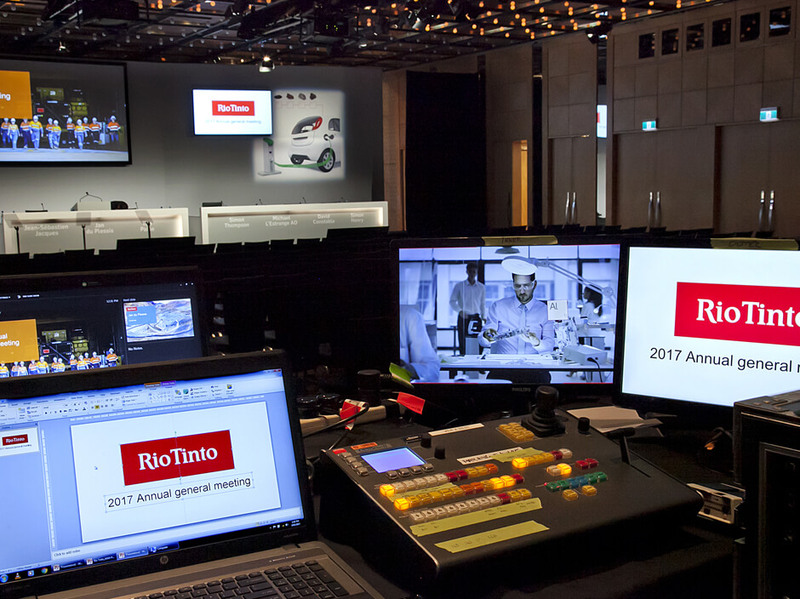 The 2017 event in Sydney presented an opportunity to re-work the event but still deliver a high level of technical production, stage set, head table construction and installation, collateral design/production/registration and signage. 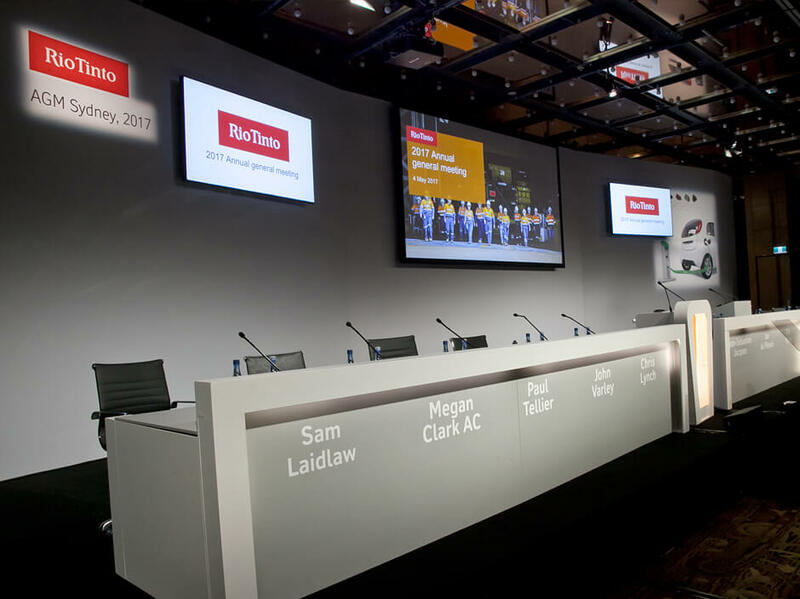 Haycom redesigned and replaced the stage set to a new lightweight modular set with printed vinyl inserts. This innovative redesign, resulted not only in a much better production result, but also made it more time efficient to install. The stage set was made in a lightweight design which breaks down into smaller pieces, saving on transport and storage, year on year. 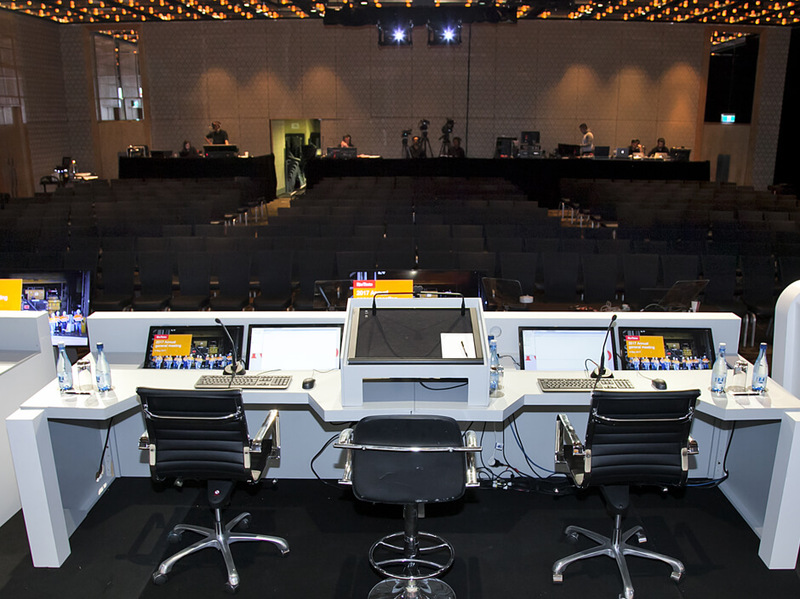 Live vision and audio feeds were provided from the main meeting room to the holding area and presentation room for media representatives to observe the meeting and engage in post event Q&A interviews. Media splits were provided to allow for live coverage of the meeting enabling broadcasting of the results to the general public. 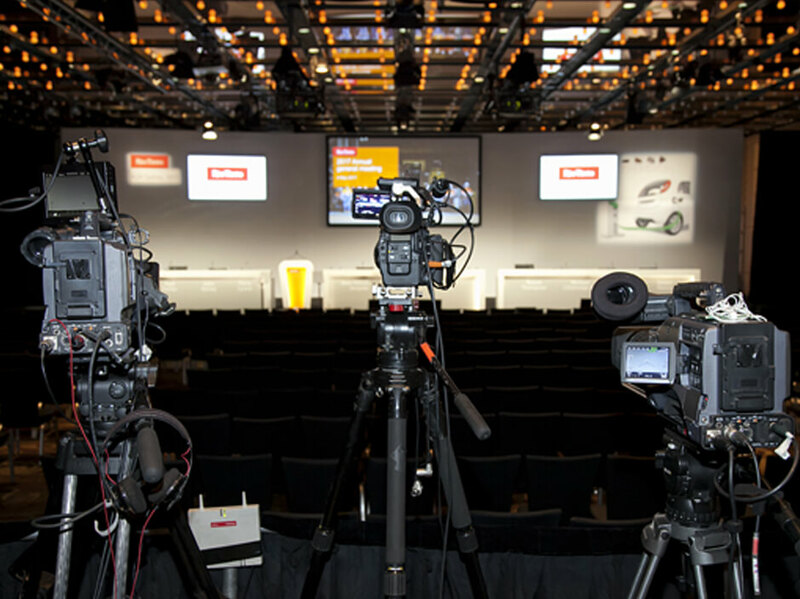 The client’s UK counterpart referred to us as the best production team they have worked with worldwide!